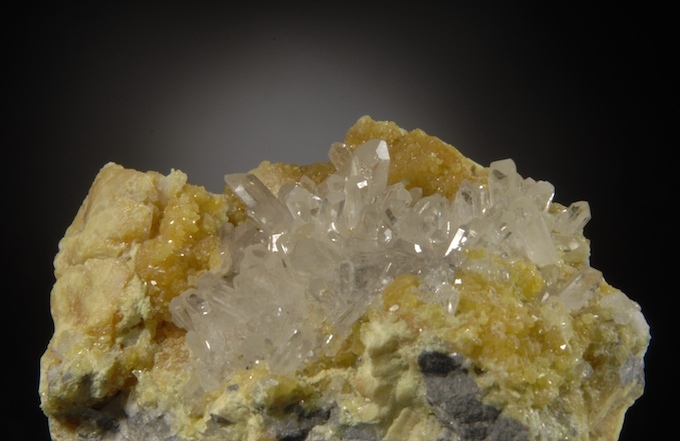 Bright and gemmy Celestite (Celestine) crystals are in radial sprays on vivid Sulphur crystals. In fine condition, the matrix is an open pocket that has protected the delicate crystals inside. Similar to old specimens from Sicily, the luster and sparkle of this specimen is equal to those. 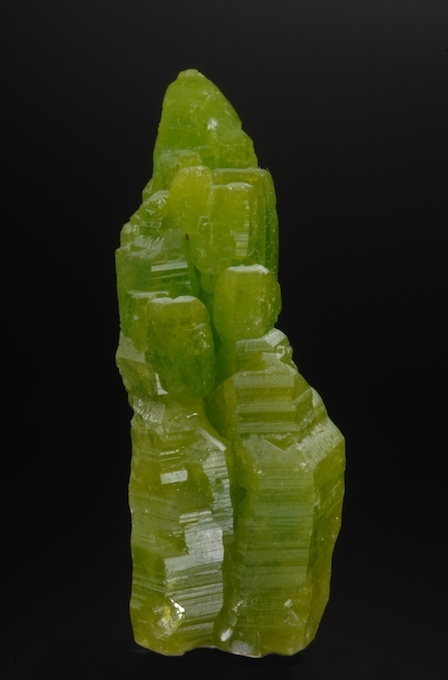 Perfect 360 degree "floater" compound crystal of fine green Pyromorphite from the famed and prolific Daoping Mine. Outstanding hoppered form with distinct striations on all faces. No eye visible damage, micro chips under .1 mm can be found with 20X magnification. This is far better than most of these large crystals and it displays well. 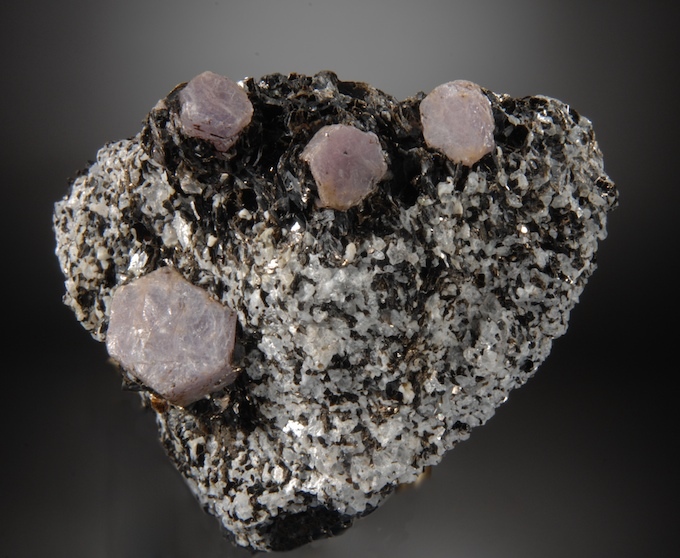 Corundum deposit, Yingshan Co., Huanggang Pref. From a little known Chinese locality, These Corundum crystals are well formed and similar but noticeably distinct from the better known Madagascar specimens. 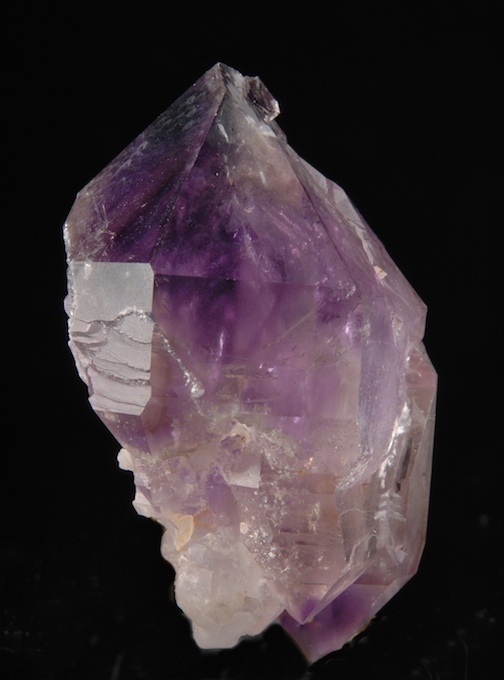 Individual crystals reach 1.6 CM and are a blueish hue in daylight but have a more purple-red look in some artificial lights. The color change is subtle but clear. 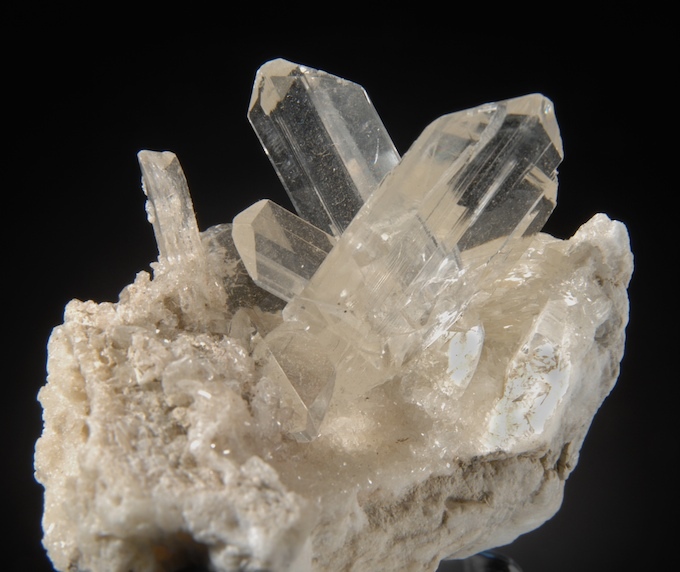 In very good condition, the crystals are well exposed and have a small amount of translucency at the edges. Twinned "drill bit" habit Cinnabar crystals on Quartz matrix with some Dolomite. A Chinese classic, for over a century Cinnabar was the only Chinese mineral seen in the western world. These were prized specimens in top collections and were the worlds best examples of the specie. Things have changed and these are no longer priceless but they are still quite fine and this habit is the most desired. Crystals to 1.8 CM most of which are fully perfect however a small one has a backside cleave not seen on display. The dark color and habit are typical of older material that is not like any of the recent finds. 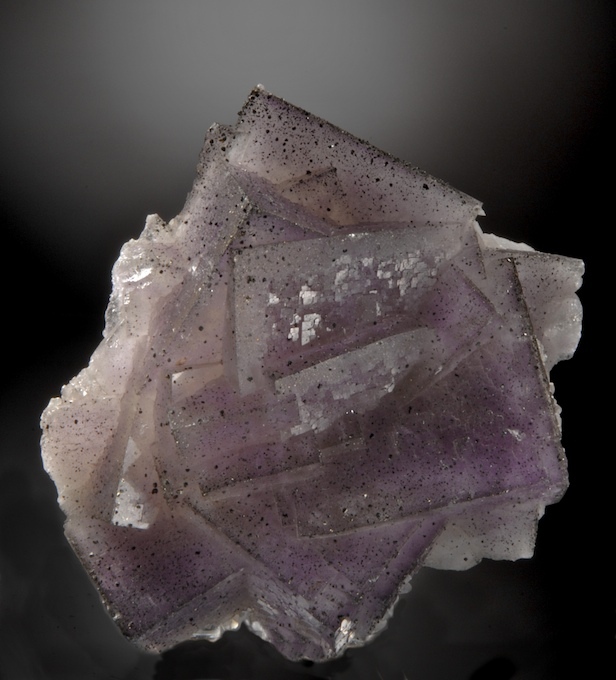 A complete deep purple colored crystal from Stateside, North Carolina showing complex stepped crystallization and distinctive zoning.Several deep solution pits are also featured in some faces that show excellent layered solution and recrystallization zones that make for attractive architecture. The large size and deep color are very fine this old locality. 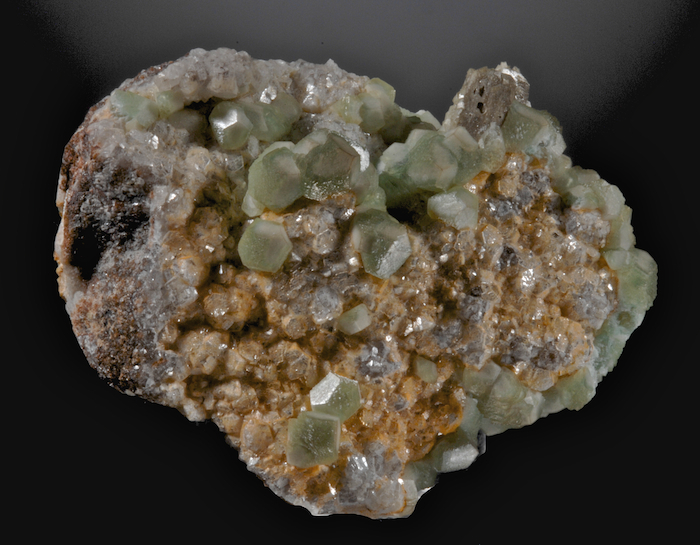 A very fine Tsumeb specimen with excellent zoned Smithsonite crystals on a contrasting matrix. This flat matrix displays well on both sides, it can be difficult to decide which is the better face to present. 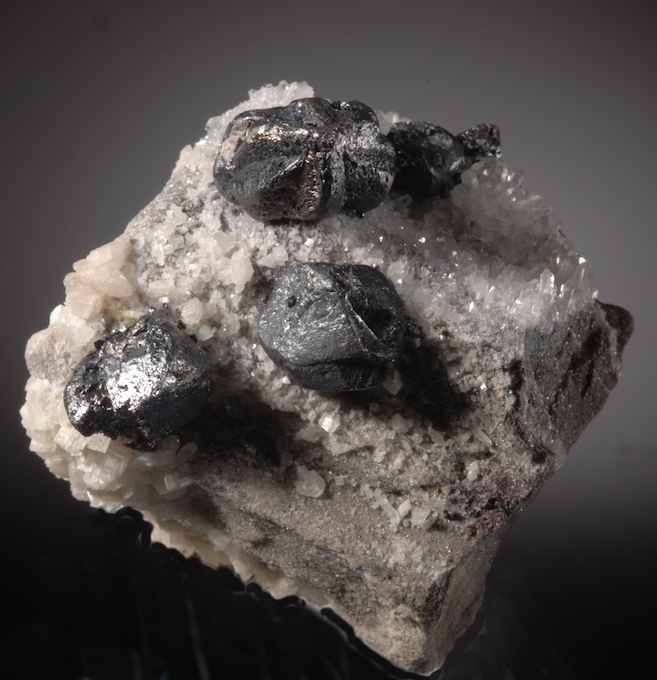 The "rear" has a huge stepped, etched Smithsonite crystal that is 2.4 CM across, the front shows several smaller, textbook perfect color-zoned crystals. Very esthetic and in fine condition.